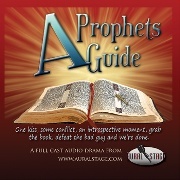 Starring:Jessica Dennis, Josephine Arden, James Parkes and Ceri Gifford. PURDY AND CHASE – EPISODE 2 (COMEDY / MYSTERY)‘The Honeymooners’, new private investigating duo and best friends Pen Purdy and Daisy Chase are mystery shoppers at The Shingle Hotel, small town Wexton. As Pen gets acquainted with the mini-bar and a maroon velvet jumpsuit, Daisy finds the guests at the Hotel are all too familiar. 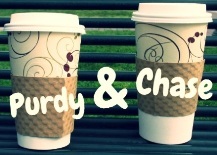 PURDY AND CHASE – EPISODE 1 (COMEDY / MYSTERY) New private investigating duo and best friends Pen Purdy and Daisy Chase negotiate the heady mix of insurance fraud and mystery shopping, whilst dealing with their own assortment of doubts and fears in small town Wexton. 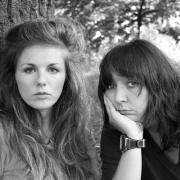 Pen and Daisy are tiptoeing towards their thirties, desperately trying to face their uncertain future and the inevitable looming in the background – having to grow up. 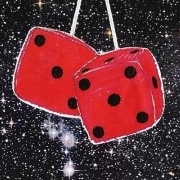 A peculiar pair thrown into unusual situations, Purdy & Chase explores the humorous inadequacies and unexpected heroics, as they embark on their new adventure, together. 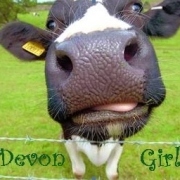 DEVON GIRL (COMEDY) Ever wondered how life would be as a young woman running a farm? Sally Anne Criplett is just that girl. Living with her mole obsessed, gun happy, cider drinking father, Sally has her work cut out. AMELIE’S PARTY (COMEDY) Amelie's Party was written, produced and performed in just 36 hours. 9 actors, 1 director, a sound and tech crew and a beat-boxer met on Friday morning and by Saturday night they performed a completed live recording with visuals. This is that play. Starring : Josephine Arden, David Beck, Susan Casanove, Jessica Dennis, Ceri Gifford, Fiz Marcus, Mark Fairclough, Sarah Whitehouse, Ben Whitehead. 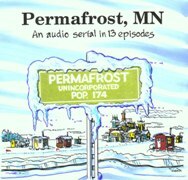 PERMAFROST, MN (COMEDY) PERMAFROST, MN is an unincorporated (and entirely concocted) town on the logging road, off the gravel road, off the county road from Big Falls, in Koochiching County, Minnesota, on Dinner Creek. It went into the unusually hard winter of 1887-88, and never came out. Oh, it isn't frozen in time, it's just frozen. And the inhabitants, well let’s just say they must be a little nuts to live in a remote and frozen place like Permafrost, MN. The rogue comet, Skippy, is headed right for Big City in this superhero mockumentary. The mayor is looking for a Super Hero to save the city. Most of them seem to be busy, or indisposed at the moment. 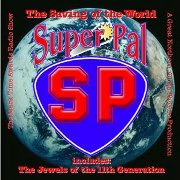 Super Pal is discussed, but doesn't seem to be their first choice. We hear about Super Pal from his friends, his agent, his girlfriend, and find out about his childhood. 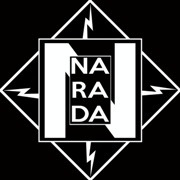 (And the writers said, "We didn't even know we were making fun of FEMA.") 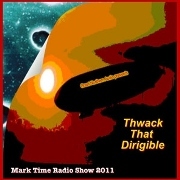 Recorded at the Mark Time Radio Show at CONvergence, 2005. 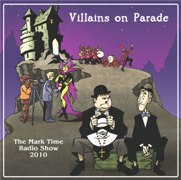 Villains On Parade includes an Evil Sorceress, bumbling minions, sharp satire and smart comedy, the Annual Storming of the Castle, and features the Lost Orc Commentaries. And it includes the voices of Chuck McCann (still working Hollywood actor who has a long history of voice work in cartoons and commercials, and has made a career out of playing Oliver Hardy) and Wally Wingert (the voice of The Tonight Show with Jay Leno, the voice of Jon in the new Garfield cartoons and movies, and dozens of characters on TV shows like Family Guy). 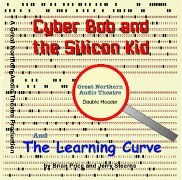 What if computers ran colleges and nobody came to class? This mockumentry was so far ahead of its time, it's already happened. 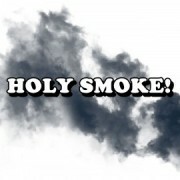 The droll documentary style would make Christopher Guest proud. 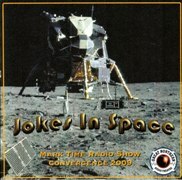 Featuring the voice of Dan ("Ask Dr. Science") Coffey, and Dave Moore (WCCO TV).